Kwan International, a media and broadcast company at the Las Vegas Motor Speedway, welcomes new aftermarket partners to their multi-year, multi-phase endeavor that pits two Corvettes, a 2000 C5 and a 2006 C6, against one another in a comparison build. As the completed C6 is equipped with a sponsored Magnuson supercharger, the naturally aspirated C5 continues to receive extensive modifications as it enters its final stretch towards the finish goal date of Feb. 2017. Both Corvettes will measure their horsepower gain (as a percentage in relation to its pre-build dyno) and go heads up down the drag strip for ¼ mile elapsed times. Both Corvettes will be set-up for racing. The C5’s set-up is primarily for drag racing while the C6 will make occasional runs down the drag strip, it will be set up for road racing. Its sights are set on qualifying in the OPTIMA Ultimate Street Car Invitational at the Las Vegas Motors Speedway in March with project partner Stainless Steel Brakes Company’s (SSBC) president, Michael Jonas, behind the wheel during the event. 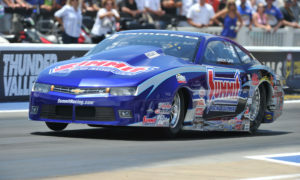 Summit Racing Equipment is one such company that has provided an exceptional level of support for the project. While receiving top notch tech support, Summit Racing has delivered in ensuring that parts arrive quickly to keep with the progress of the build. The Corvette project also is supported by Meziere Enterprises, Advanced Clutch Technology, Magnuson Superchargers, Holley, NOS, TPiS, Smith Brothers Pushrods, Anderson Composites, DeWitt’s Radiators, Improved Racing, Cometic Gaskets, Flaming River, Powermaster, K&N, Mishimoto, ACCEL, QA1, Russell, Moog, PCM for Less, ABC Upholstery, Race Ramps and Prothane Polyurethane Bushings and Automotive Performance Parts – all of who will also receive dedicated featured product reviews. Additionally, the highly anticipated outcome will be fully featured in the publications of aftermarket media partners including Summit Racing’s On All Cylinders as a featured vehicle project, Power Automedia’s CorvetteOnline.com and Dragzine.com, The Shop, Garage Style Magazine. 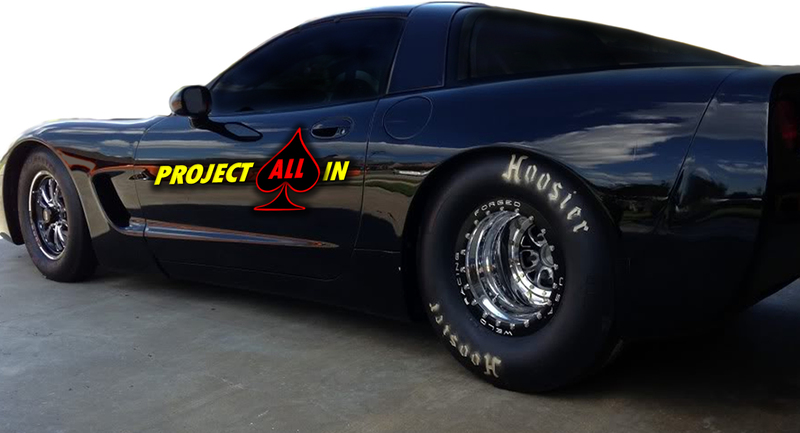 Raising the stakes further, Kwan International takes an additional step in highlighting all of the Corvette project partners in their upcoming Project All In Poker Broadcast – an on-demand, live-streamed worldwide production at their Las Vegas Motor Speedway location. 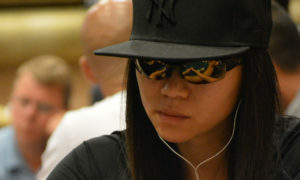 “When you think about motorsports and cars, poker is a game that goes hand-in-hand with this demographic,” said Kwan. The Project All In set is anything but ordinary. An all-new RFID poker table takes center stage inside an elevated full scale boxing ring where players – who will take on the names of partnered brands – can “fight it out”. “With an emphasis on our brand partners, the players will not be referred to by their individual names, but rather be assigned a company name to represent,” said Kwan. 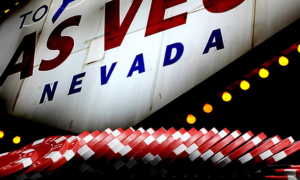 The broadcast is supported by a production team that includes two commentators – a World Series of Poker play-by-play analyst and a color commentator well versed in the brands represented. “The advantage of a live-stream broadcast is the real time interaction we have between our audience, our players and our broadcast team. Viewers can weigh-in on a player’s move or on a partnering brand. This platform truly gives a unique way for companies to reach and interact with an audience in an entirely different way,” said Kwan.